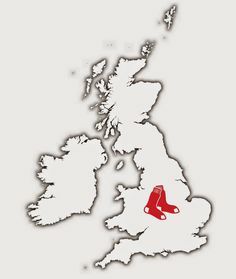 FenwayNation—Red Sox, Mookie, J.D., Bogaerts, Sale, JBJ—Founded 1/27/2000—9-Time Champs: Blimey, Guv'nr: Red Sox And Yankees To Play In London! Blimey, Guv'nr: Red Sox And Yankees To Play In London! Thanks to the new Collective Bargaining Agreement—and some behind-the-scenes negotiations between John Henry and Hal Steinbrenner—the Red Sox and Yankees could meet in London in 2018. It could actually be a Boston-New York series—which makes us wonder why fans of each team should have to sacrifice some valuable tickets in order to make even more money for billionaires. Now, we know there are many Red Sox fans in the UK (some actually read this blog), but something about this plan doesn't seem right. This is not the NFL—most Brits will probably politely show up and make snide comparisons to cricket or rounders. Said Yankee President Randy Levine, "There have been some meaningful attempts to do so, and we are hopeful and confident that we can play there soon. Playing the Red Sox in London would be a unique and special event." Ah, who needs it?